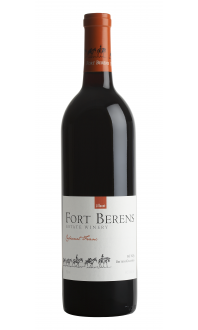 Sorry, Fort Berens Estate Winery does not ship wine to United States. Tasting Notes: Smooth and full-bodied, the 2016 Merlot boasts rich aromas of cherry, blackberry, and cedar. The deep red colour leads to expressive flavours of cherry, raspberry, and black currant. Making for an excellent match with grilled meats or tomato-based pasta dishes. Food Pairing: Pair with BBQ beef or a hearty stew made with chicken, lamb or beef.